Where is a Sleep Clinic Near Me for Sleep Apnea Treatment? Sleep apnea is classified as a sleep disorder that results in pauses in breathing while sleeping. These pauses in breathing can occur hundreds of times per night with each event lasting up to a minute or longer. Often, the most common cause of the condition results from an obstruction in the airway; however, there can be other causes as well. When the airway becomes blocked or breathing stops, it can lead to serious complications, such as cardiovascular disease, sleep deprivation, and an overall decrease in quality of life. 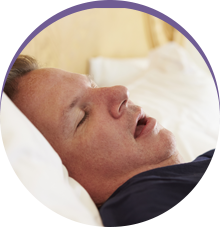 The symptoms of sleep apnea are quite diverse and can be difficult to notice as you are often asleep while they occur. The most notable symptom of the condition is loud, chronic snoring. In addition, many wake often throughout the night. Upon waking at night, you may choke or gasp for air. In some cases, you may experience a dry or sore throat, while others have morning time headaches. It is not uncommon to experience day time fatigue, mood instability, and loss of productivity throughout the day. 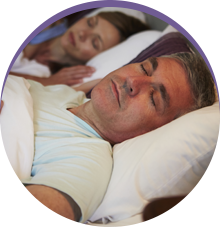 If you are experiencing symptoms of sleep apnea, such as chronic snoring in Garland, you will need to undergo a sleep study. At a sleep clinic, you will be monitored while you sleep. The data gathered from the study will then be analyzed and interpreted to determine if the condition is present. If you have the sleep disorder, the underlying cause and severity of the disorder will be determined to develop a treatment plan. Sleep apnea can be treated using a number of methods. Among the most common form of treatment is the use of a CPAP machine. A CPAP machine delivers a stream of air through a mask that is worn over the mouth or nose to keep the airways open. 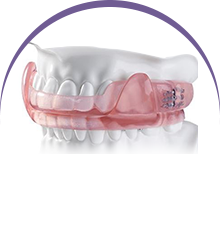 Often, the most preferred treatment involves the use of an oral appliance to reposition the jaw forward to keep the airway open. In rare cases, surgical interventions may be needed to open the airways. 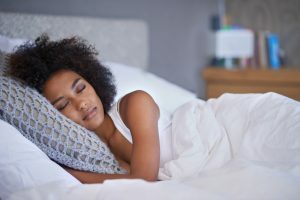 If you are suffering from sleep apnea or believe you may have the disorder, you need to schedule a consultation for treatment right away to protect your health and sleep quality.